Combined joining and forming process of additively manufactured thermoplastic parts. 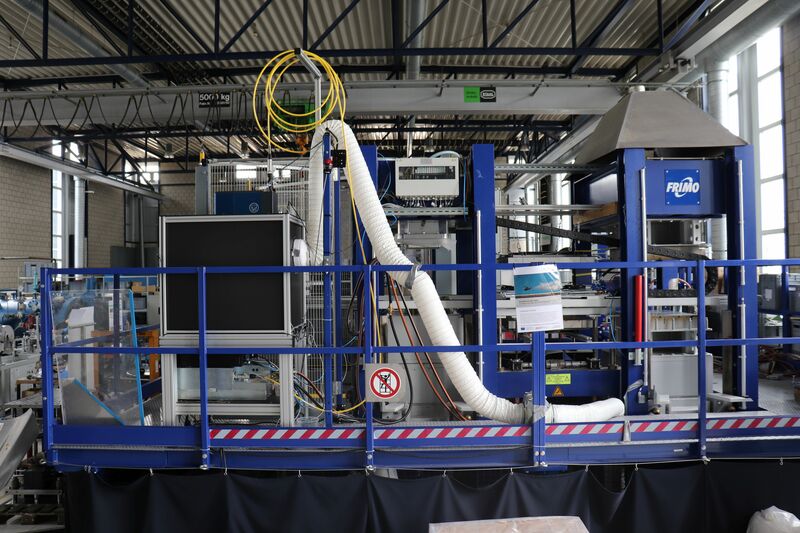 Complex functionalised parts based on fibre-reinforced thermoplastics can nowadays be produced with integrated manufacturing processes in short cycle times. However, the economical production of prototypes or small series has so far not been successful because of the high mould costs involved. For this reason, the Institute of Plastics Processing at RWTH Aachen University has, as part of a joint BMBF project called "LightFlex", linked up with other project partners to develop an innovative, photonic-based production process for increased flexibility and geometrical complexity in prototype and small-series manufacture. The core development of the innovative production process is the combined joining and forming process of a previously additively manufactured polyamide functional structure with a thermoplastic composite. While the thermoplastic component – a composite sheet, for example – is heated under an infrared lamp, the surface of the additively manufactured structures is heated with a 1 kW laser from Laserline GmbH, Mühlheim-Kärlich. Thanks to the combination of the laser with a 3D laser scan head provided by Arges GmbH of Wackersdorf, the focus of the laser can be shifted in all directions inline. Only in this way is it possible to ensure that defined melting of the surface takes place, even with uneven and complex geometries. After the successful integration of the laser and laser scan head into the thermoforming line at IKV, the research team is now occupied with the interplay of the different process parameters and their effects on the quality of the end-product. Of interest here, for example, is the influence of lamp temperature, heating-up time and start of heating, as well as the laser output, processing speed and number of passes. This process makes it possible for the first time to economically produce individual fibre-reinforced parts even in small series.